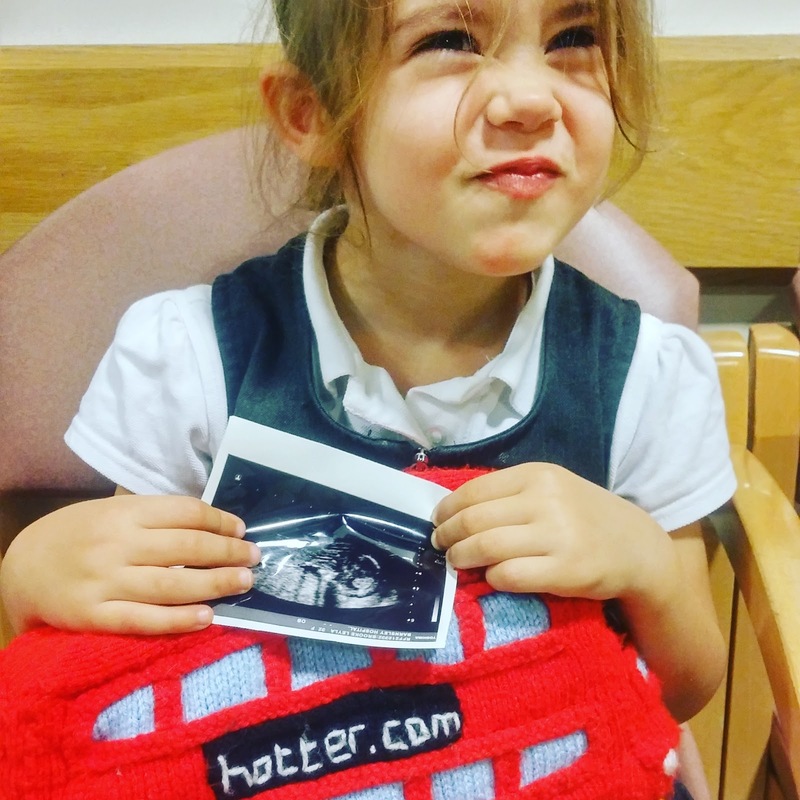 Since then I have been wondering how to blog the pregnancy with Thing 3. I thought the best way would be to document the first trimester as one [up to week 15], and then do updates more regularly from then on. We discovered Thing 3 would be joining us just before the school holidays started. I just remember a niggling gut instinct telling me I was pregnant, which I kept shrugging off. My running was getting harder, I was feeling light headed when I ran and I just thought I should rule the possibility out. Only I ruled it in. I hadn't planned on a third but am a firm believer in fate and what is meant to be. After my youngest was born I remember the moment she met her sister for the first time. I can remember seeing my eldest daughters heart break, I could see the pain in her eyes and the tears. I remember it clearly and it haunts me. She was only 21 months old at the time and I don't think she had fully understood that a baby was coming. Watching your child clearly heart broken is horrific and an experience I do not ever want to repeat. I told myself there and then no more, I simply could not risk it. Whilst I had an original plan of 3 and then ruled it out because of my daughters reaction to her sister, I am now getting excited about the arrival of Thing 3, although am incredibly nervous given the past experience. Thing 3 is a wonderful surprise and I do feel very lucky. They showed little excitement at first. Yet as the day progressed it slowly sunk in and they began asking more questions. My youngest will now tell anyone who will listen I have a baby in my tummy. They both seem really excited, which is great and it is helping my fears a lot from the experience of last time. I am trying to involve them as much as possible, asking them name ideas, getting them involved in the nursery and where possible attending appointments with me. This pregnancy has felt completely different to my first two. I have felt really sick, although not actually been sick the nausea has been unbearable at times, particularly first thing in a morning. I had no nausea or sickness with either girl. With the girls I had a metallic taste in my mouth, this time it was more like a chewed paracetamol taste. Running is becoming increasingly harder each week. I feel light headed as soon as I set off, and the nausea comes back. My legs start cramping and I generally feel tired quicker. I am taking it steady and not pushing myself as much but do want to keep running as long as possible. My energy levels are seriously low. I want to take constant naps and feel drained by around mid afternoon. This has made running difficult let alone anything else. Movements - Not felt any movements to date. Although pretty sure felt baby kick the ultra sound scanner.